Pest Control Company Sacramento: What Do Mice & Rats Need? 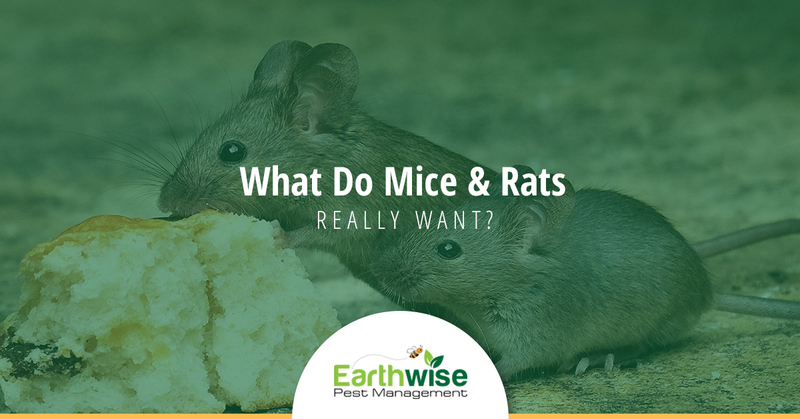 What Do Mice & Rats Really Want? When you have to go to war with rodents in your home, the battles often last much longer than you anticipate as mice and rats are very resourceful pests. However, the best offense is always a good defense and therefore, it is important that you realize why mice and rats choose to come into your home in the first place. In this post, we are going to teach you everything you need to know about these enemies that invade homes as well as how you can prevent them from entering your home in the future. Continue reading below to learn more. Did you know that rats’ sense of smell can differentiate between over 2000 different odors? Their brains have the ability to analyze these different odors and use them to understand information about their surroundings. In fact, this means that rats can smell things like the social hierarchy of other rats when they come into contact with a certain odor based on its intensity, sequence and how they combine with other odors as well. So it should be no surprise to you that rats can smell your food. However, that isn’t all. They can also smell specific information about food in your home. While it is impossible to have a completely smell-free home, you can do things to prevent rats from liking the smells they come across in your home. You can do this by placing all of your non-refrigerable foods in sealed airtight containers. Additionally, it is important that you vacuum, wipe down surfaces, sweep and mop often. This will tell the rats that they will not be able to get to the good food they want easily and hopefully send them searching for something to eat elsewhere. While rats and mice don’t mind to live in moist areas, they technically do not need a lot of water to survive. They do need some, however, which means they will likely hole up somewhere they can at least find enough to drink. Something like a small plumbing leak combined with a little humidity is enough to suit a rat or mouse. Rats will find water the same way they will find food: using their senses. Along with being able to smell incredibly well, rats are also extremely sensitive to tactile as well as temperature changes. This means they are able to detect humidity easily. In order to prevent rats coming into your home for a drink, make sure that you patch any plumbing leaks as soon as you identify them. Also be sure that you are controlling the overall humidity in your home as much as you can. Investing in a dehumidifier may be a good option for you if you live somewhere that is particularly humid. The good news about it being summer right now is that you won’t have nearly as high of a chance of having rats in your home now as you would during the winter months. However, regardless of the season, rats and mice prefer to find shelter that is in a place that is warm, dark, quiet, and full of food. This probably helps you to understand why there are so many rats that live in the sewers of New York City as they check off all the boxes on the rat wishlist for a place to live. If any part of your home matches this description, it’s time to do something about it. Clear up clutter, clean, seal any access points, and update any insulation that may be outdated. Rats and mice alike prefer to live together and build large family nests. On the other hand, they are not fond of humans. This means they have to find a place to live that will allow for them to go unseen. Additionally, rodents tend to be relatively shy creatures as well so a place that makes it easy for them to be left alone is going to appeal to a rat or mice very much. This is often why rats are found in basements and attics as they are the least visited portions of a home. If you want to deter rats from being in or around your home, you may want to consider installing patrol lights, getting a pet, or increase how often you are cleaning your home to ensure they don’t set up residence in your house. If you think you have a rat or mouse infestation in your home, you likely need to call your local Sacramento exterminator. Earthwise Pest Management has a great reputation and a staff that is made up of pest technicians who truly care about you and the safety of your home. Contact us today to learn more about our residential rodent control services. We look forward to being able to help you!